Backup client configuration, scheduling and data restore services are provided as part of the Server Administration and Database Administration services. If the server is not enrolled in the System Administration service, configuration, scheduling and restores are the responsibility of the department. Virtual server image backups are available to Virtual Server Hosting customers. File backups are available to Enterprise File Storage customers. 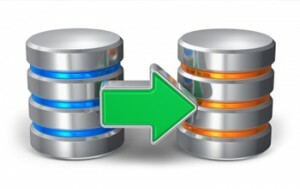 Database backups are available to any database whether hosted by DoIT or a department. Server filesystem backups are available to any server whether hosted by DoIT or a department. Go to doitservices.missouri.edu to request new and change or cancel existing Backup service. Login to the self-service portal, select Service Catalog, and search for Backup. Contact your departmental IT Pro or call 573.882.5000 for more information. If you would like to request Backup consulting, go to doitservices.missouri.edu. Login to the self-service portal with your University user id and password, select Service Catalog, and search for Server Consulting.